In Guardians of the Galaxy, we see beings traversing galaxies as easily as we traverse continents. We have traveled, halfway across the quadrant. And Ronan is no closer to being dead. For a human-like civilization, the fastest spacecraft New Horizons could traverse the Solar System in 9 years. What are the speeds and means to achieve travel of quadrants in short times in the GotG universe? They are probably using Wormholes. Throughout both movies, our heroes refer to distances of travel as “jumps.” It’s never really explained what they mean by this, but based on the sequences of this travel, it seems to be referring to a network of specific intergalactic routes that make up an interstellar “highway” of sorts. To go from Point A to Point B, you might have to go through a series of multiple jumps — punctuated by points where one jump ends and another begins. So, in the films we never get an explanation to the so called jumps. These “stops” lead to different planets. The whole network operates pretty similarly to a train station, except it’s in space. But during the movie, you notice a few things occurring that demonstrates that this space train is, well, kind of [censored] up, and not entirely a comfortable way to travel. When forced to go through several dozen more jumps than is recommended, you start to see the faces of Rocket (Bradley Cooper), Groot (Vin Diesel), Yondu (Michael Rooker), and his lackey Kraglin (Sean Gunn) warping up like a horror movie version of Apple’s “Photo Booth” app. It’s extremely gnarly to watch. But this part is key. Combined with the fact that we know the jumps are punctuated and only move along set routes, we can use all this information to infer that the jumps are referring to — as you probably guessed — wormholes! So, using our powers of deduction it is probable that they use Wormholes to get around the galaxies. Lets assume that means literally one-eighth of a circle, at some distance out from the center of the galaxy. Let's assume a distance literally one eighth of a circle one half the diameter of the galaxy. I won't clutter the answer with the math, but this is a distance of approximately 43,000 light years. We don't know exactly from the movie how long they have been traveling. I think it's only meant to be a few days. So assuming 3 days, they have travelled on average around 600 light years an hour. Now as we see in Guardians of the Galaxy Vol 2, their movement isn't simple speed as such. They are making "jumps" across the larger distances. These appear to be practically instantaneous so pointless to quantify in terms of speed. The Universal Neural Teleportation Network is a system of fissures in the space continuum, called Jump Points, that enables space-ships to fast travel across the universe, jumping between different planets. [...] The mammalian body structure can't handle more than 50 jumps without suffering possible damage to their health. The Universal Neural Teleportation Network appear to be based on the Stargates in Marvel Comics. 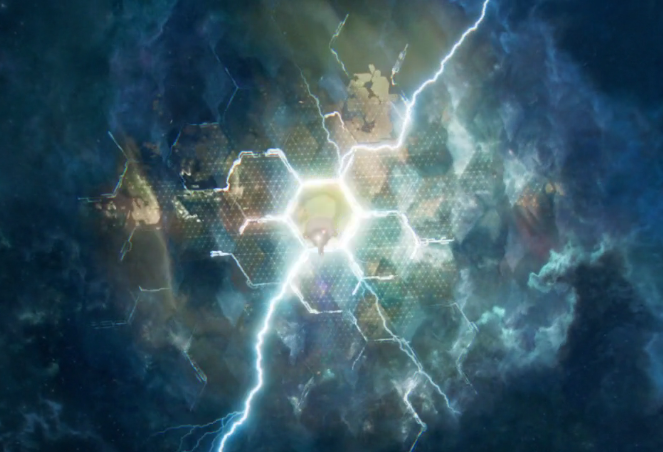 A network of devices, created by the Shi-Ar Empire, that create stable wormholes throughout the universe. In the comics, Xandar has this technology because of their alliance with the Shi'ar. Where did the name “Guardians of the Galaxy” come from? Could the Guardians Of The Galaxy Build An Army of Groots? What was the reference in the post credit scene in Guardians of the Galaxy? Could someone explain the Kevin Bacon joke in Guardians of the Galaxy? Where does Guardians of the Galaxy fit into the MCU timeline? Why did the Guardians of the Galaxy trust Xandar to safely store the Orb? Is this an inconsistency in the Infinity War and Guardians of the Galaxy? Which galaxy does the name “Guardians of the Galaxy” refer to?